Breathe better in your own house! Your house has a system of air ducts that allow the warm and cool air to flow. Cleaning those air ducts is essential for health and comfort. In Layton, Utah, the air duct cleaning professionals at Utah Flood Cleanup are experts in making your home fit to breathe in. What’s In Your Air Ducts, Anyway? The better question could be — what isn’t in an air duct. Theoretically, all that should be in an air duct is, well, air. But small specks of flying dust turn into to large clumps of fluffy “dust bunnies” over time. As more and more dust specks flow through the air duct system, they attach onto the dust bunnies and before you know it, you’ve got a clog. Subsequently, mold and dampness may be in the heating and cooling ducts. Depending on the condition of your home and how accessible nooks and crannies allow wildlife to get into those warm places, there is always the possibility of a dead animal or bird that could be decomposing in the vents. Hiring a professional allows you to let someone else do all the dirty work. There are a handful of reasons for having your house air ducts professionally cleaned; removing dead animals is only one perk of not doing it yourself. To start with, the air in your home can lead to allergies and illness. If you notice a moldy or musty smell in any particular room of the house — or all over — that odor can grow over time. Molds and mildews grow rapidly while polluting the air with spores and dust. Over time, this unwelcome additive can lead to bronchial infections, allergies, asthma and other lung-related ailments in humans and their pets. The air system in your house encourages those allergens, as well as dust and mites, to increase and settle into all areas of your Layton area home. Remember those dust clogs? They aren’t just keeping the system from allowing air to circulate properly; they are also a fire hazard. Cleaning air ducts is not a simple process for a “do-it-yourselfer.” Hire a professional to do the job correctly and efficiently. Ooh, That Smell! Am I Paying for It? Dirty, musty air is easy to sniff out, especially when you turn on the furnace or air conditioning for the first time of the season. Are these expensive appliances working to capacity and are they providing adequate heat or cooling? When the air ducts are dirty, the answer is … no. Furnaces and air conditioners do not work efficiently when they must expend more energy to heat or cool the air. The more effort it takes for appliances to work properly, the more expensive they are to operate and maintain. 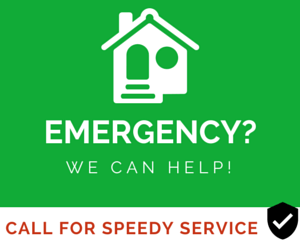 Hiring an expert team every six months to clean the air ducts can help lessen your utility bills. 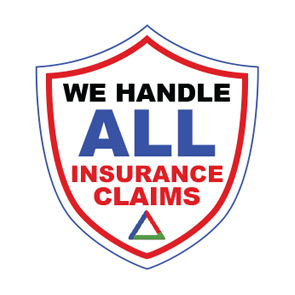 Utah Flood Cleanup will handle building maintenance issues before they become disasters! Give us a few hours and we’ll get everything cleaned up right. In addition to duct decontamination and the application of deodorant and sealant, the process includes cleaning and inspection of the heating and cooling sources, air vents and registers. 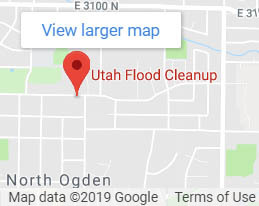 Utah Flood Cleanup employs trained, certified technicians and inspectors who are on call 24 hours a day, seven days a week. For more information about our Layton, Utah air duct cleaning process, call 801-416-2666.